The Eucomis Sparkling Burgundy originates from South Africa. 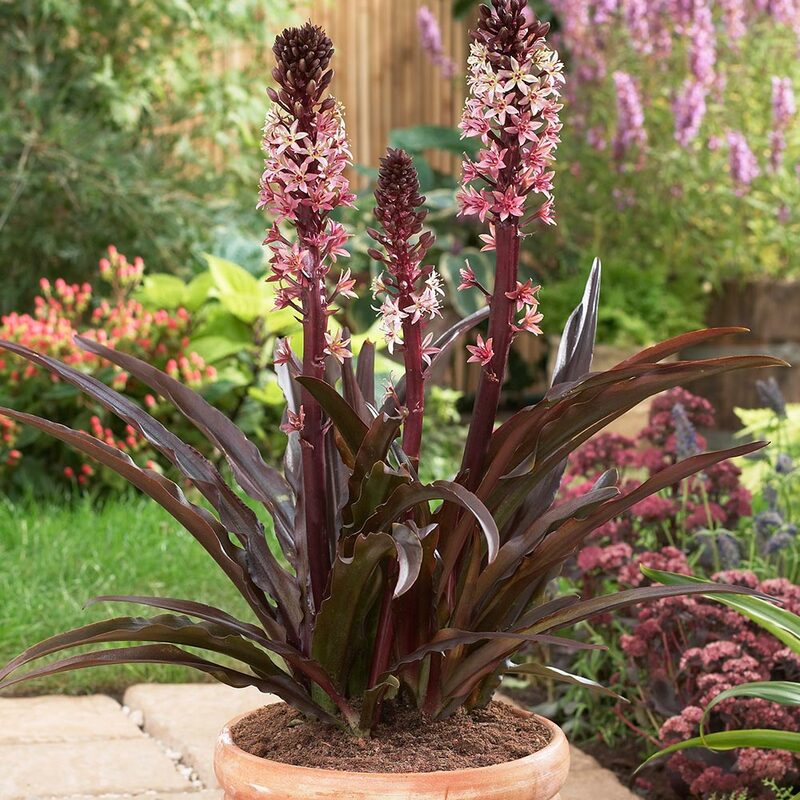 Erect burgundy stems bear a dense raceme of cream and purple/pink waxy star-shaped flowers. Glossy straps of burgundy foliage provide a lavish colour co-ordinated surround. 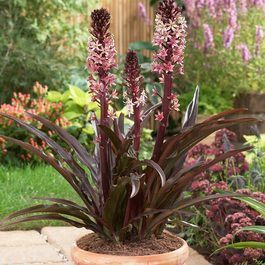 The Eucomis favours a sunny position with well-drained soil, just like it would be used to in the wild. Try planting with Calla Lilies and Chincherinchees to emanate a tropical jungle. 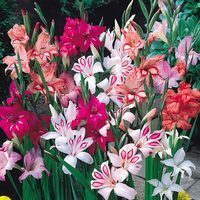 Top quality 18/20cm bulbs supplied. Flowers May to September. Height 50cm. Planting Plant at 10-15cm deep. 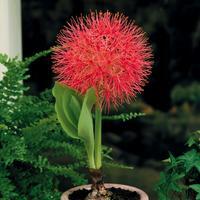 Eucomis cane be grown in most soil types, provided it is relatively fertile and well drained. Plant in full sun. 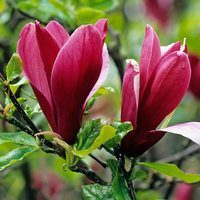 In poor winters it is often necessary to apply a mulch to help protect plants from severe frosts. Water freely when in full flower.